Previously the HEARTY TAR to at least 1888. GREAT EASTERN STORES in 1890. On 14th April 1905, Charles Pearce advised that his rent was £60, he was not aware of the rates to be paid. The Chairman enquired if he had studied his tenancy agreement, because in many cases, tenants were unaware of what was contained therein. Mr. Vail, the outgoing tenant confirmed that rates were paid on the same amount as the rent. £60. 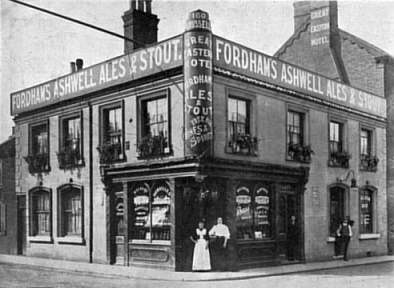 Noted 1912 as selling Fordhams Ales, of Ashwell, Hertfordshire. The only Gt. Yarmouth outlet. Then named the GREAT EASTERN HOTEL.